Who doesn’t know the True Rap Icon – Eminem? He has been the source of inspiration for his fans as well as the upcoming stars. His latest album Revival starred various renowned artists including Ed Sheeran and Pink. Although as fans we believe we truly know our hero, there are certain aspects that we miss. We offer hear the news about the three daughters of Eminem, Alaina Mathers, Hailie, and Whitney Scott Mathers. However, out of three daughters, Hailie is the only daughter by blood. Born on Dec 25, 1995, Hailie is the daughter of Eminem and his ex-wife Kimberly Anne Scott. Alaina is the daughter of Kim’s twin sister Dawn Scott. And Whitney is the daughter of Kim’s ex partner Eric Hatter. Although, Hailie is the only biological daughter to Eminem, he doesn’t discriminate among his kids. The daughters are often seen together in events. Further, It was also rumoured that Eminem bought three pairs of necklace worth $375000 for his three kids. You probably know the horrendous relationship Eminem has with his mother and wife. He has literally roasted and made his hate clear through his songs. But did you knew he was sued by both his mother as well as wife. In one of single’s “My Name Is” he used a line “My mother does more dope than I do” that didn’t go too well with his mother. This led to a controversial court case of $10 million by his mother. 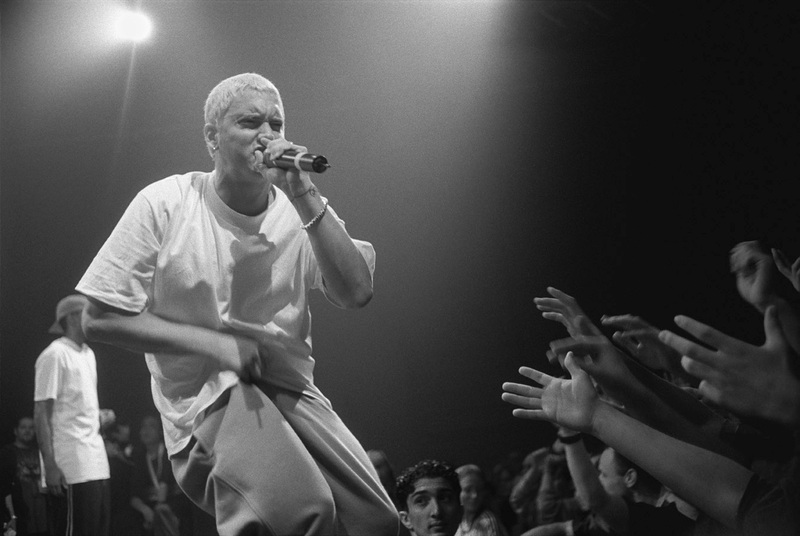 Similarly, Eminem was persistent with his insulting slurs for his wife with songs like “Kim.” He also sang the song in his up in the smoke tour. She was struck by an emotional turmoil which resulted to suicide attempts. She later sued him for defamation. Kim and Eminem were 13 and 15 respectively when they met each other. As Kim suggested in her biography she was living in Detroit which is filled with all black neighbourhood. To get to Kim’s house he had to pass through the black neighbourhood. He used to get brutally beaten every time. So they decided to meet halfway or sometimes in the railway tracks. And no one would mess with us there, said the Rap God. When you are raised in a bad neighbourhood and famous as hell, you are bound to have outsiders. This is what Eminem claims he faces every now and then. So to protect against them he says he uses his gun. “People have come to my house and they get a gun in their face every time, because I don’t trust nobody. If I can shove it in their mouth, I’ll shove it in their mouth.”, says Marshall. I don’t think this should come up as a surprise to many. But yes, Eminem was really poor throughout his high school. Not only he used to get bullied overtime but his grades didn’t improve as well. In ninth grade he failed three times after which he decided to drop out from school. At the age of 15 his mom used to scold at him saying, you should start doing some job, or you are outta this house. He and his then wife kim decided to quit the school together.